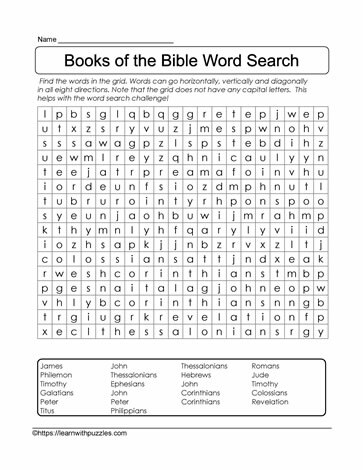 Easy wordsearch puzzle with 22 books of the bible included in the list. It's a great start to help children learn about bible book names in smaller pieces. Have kids complete this with a friend, or independently. Suitable for homeschooling, classroom use and general learning about the books of the bible.